As you know this month Naomi is introducing us to some yummy Mexican mixers that are not margaritas…so Enjoy! I have been on a real Captain Morgan’s kick lately. I had never had it before and stumbled upon it in a drink I had in a restaurant. From there I was trying to concoct new recipes with this stuff! 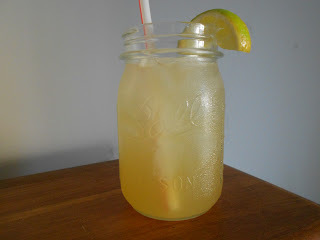 2) In a shaker, place a handful of ice, Captain Morgan’s, lime juice, sweet and sour and agave nectar. 3) Shake for 60 seconds and pour into glass. 5) Garnish as desired and serve!